Kids production company Hoho Entertainment today announced it has entered into a co-production agreement with Grid Animation in Belgium to produce a series of 26 x 5′ animated vlogs for its multimedia girls fashion brand Mimi and Bibi. The team has already produced a full episode of the property, which will be presented to broadcasters at Kidscreen in Miami next week. Originally created by Dan Good (Whissper, Waybuloo) and aimed at 6-10 year old girls, Mimi and Bibi started as an interactive iPad app, showcasing the lives of twin sisters who view the world very differently. The Mimi and Bibi vlog will air on UK tween site Totally Tween and HoHo will be looking to partner with similar digital platforms and broadcasters during the summit. 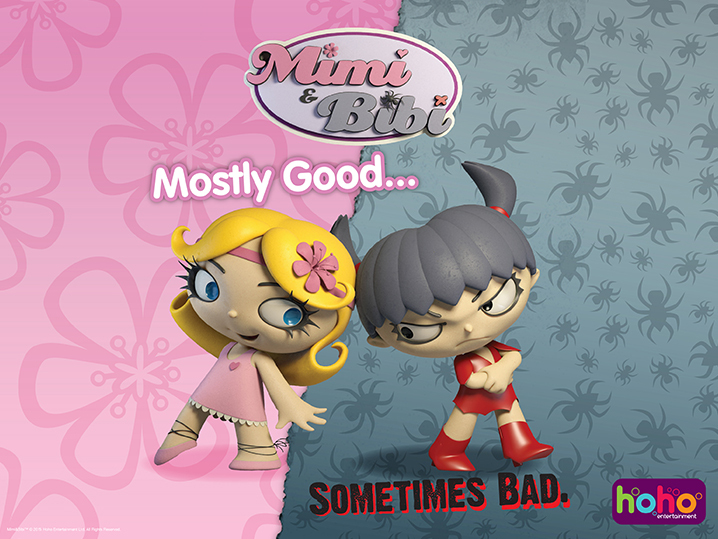 Oliver Ellis, joint MD of Hoho Entertainment said: “Mimi and Bibi is edgy and funny and perfect for the tween audience. The series has already received a great reception at Cartoon Digital in Luxembourg, as the short format and concept of two animated characters vlogging makes the series ideal for digital platforms and we know that this is how girls are increasingly consuming their content”. Hoho Entertainment is also presenting Rat and Pigeon, written by the Emmy award winner, Grant Moran. A comedy 2D animated series for 7-11 yr olds, it follows the adventures of a naïve yet erudite rat who teams up with a bombastic Pigeon in order to survive the streets off New York. A bible and pilot script are available to view.